"The spirits will move you in odd and hysterical ways." In this holiday-themed comedy based loosely on Charles Dickens' A Christmas Carol, Bill Murray plays a cold-hearted businessman who doesn't treat his employees very well. On Christmas Eve, the man is visited by a trio of spirits who convince him to reconsider his attitude toward the holiday. Karen Allen, John Forsythe, Carol Kane and Bobcat Goldthwait also star, and Richard Donner directs. 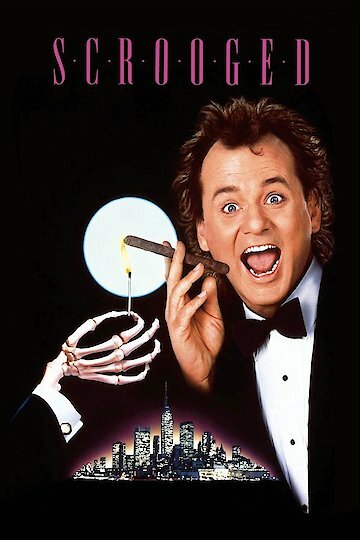 Scrooged is currently available to watch and stream, download, buy on demand at Amazon Prime, Starz, Amazon, Vudu, Google Play, FandangoNow, iTunes, YouTube VOD online.